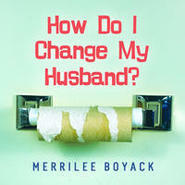 With her lighthearted personality and humor, author Merrilee Boyack shares twenty-five years' worth of marital perspective in this practical guide to improve any marriage. As an estate-planning attorney Merrilee has dealt with many struggling couples going through divorce. (Seven-year marriages seem to have the greatest challenges.) She offers practical tips for women who want to better understand men (particularly their husbands) and build happier marriages. She invites women to dump the guilt, to be open enough to learn about areas they'd like to improve, and then take the steps to make those changes. Readers will also find a wealth of fun and practical advice in chapters like "The Five 'Don'ts' and Five 'Do's' of Wifehood," "But How Do I Change My Husband?" and "No, Really, How Can I Change Him?" I just finished reading this book and I love it! I'm getting married soon so I've been reading a lot of marriage books. This one is by far the best. I love Merrilee's humor and personality. She gives practical advice from friends, family, and her own life experiences. As I read her book I was inspired to be a better person and fiancé. I will definitely go back and read this book over and over again through the years to check up on how I'm improving as a wife, get inspiration, and re-discover the excitement and creativity that this book provides. Fun read! Great advice, great ideas and techniques on improving or saving your marriage. Great advice for improving your marriage--even if it's already wonderful! My husband showed me this book while we were browsing at Deseret Book because he thought the title was funny. We've been married just a little over a year and still have a wonderful marital relationship. I laughed when he showed it to me, then leafed through the book a little to see what advice the author had to offer people who were struggling in their marriages. It turned out that I landed on exactly the section of the book that was terrific advice for me! I have a real problem with trying to take over ownership of my husband's problems, make them my own, and nag him about them when he's not taking the steps to fix them that I think he should take. Boyack tells wives to back off and let their husbands deal with their own problems and solve them themselves. It's bad for you, bad for your husband, and bad for your relationship when the wife does not trust her husband to solve his own problems in his own way and time. Even if you feel that his problems affect you as well and so you should have a say in fixing them, don't! Everything he does affects you, he's your husband, so just trust him to take care of the problems that are soley his responsibility and treat him as if he's already the man you want him to be and he will become that person. Excellent advice! I highly recommend the book to anyone looking for answers to marital relationship questions and concerns. It solved some of my problems that I didn't even realize I had! I laughed when I saw this book on the shelf. I didn't buy it right away. But every time I saw it, I picked it up and re-read the back of it. Finally I purchased it and I'm glad I did. I thoroughly enjoyed reading this book. It opened my eyes to a lot of things I should be doing differently. It helped save my marriage - literally. Sis. Boyack is a wonderful, down to earth writer. I have enjoyed all her books and look forward to her new one. 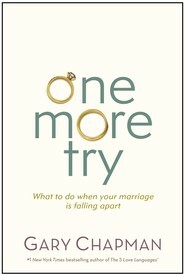 I recommend this book to everyone - especially those who are getting married soon, or those who are having trouble in their marriage. Thank you, Sister Boyack! I have read many marriage books through the years and I must say this is the BEST one I have ever read! It is funny and true. Merrilee is down to earth. She does not try to be preachy or put us down. Thank you!! This book, like her others, is fun to read and has lots of great ideas for your family relationships. My sister and I laughed so hard during this book. It was fabulous. This is a good humorous book. I love to read these types of books just to refresh what we should be doing and to reinorce what we are doing right. I believe it has helped us because we seemed to have adjusted very well into our marriage. If you enjoy these types of books, try this out! My husband gave me this book as a joke last year for my birthday. I ended up reading months later and loved it! She writes in a very down to earth way, like you were sitting in your kitchen with your sister. The book really helped me improve my attitude! Best book to read to avoid strangling your husband! I first noticed this book because of the title! I knew if I took it home I would have to hide it from my husband. Indeed the day he discovered I was reading it he was a little offended and started to worry if I had taken out a secret life insurance policy on him! He was not pleased that I might be reading a book full of husband bashing.I had to explain to him that the book is not like that at all! It is really about changing yourself first in order to affect change in the marriage. I love all of Merrilee's books and this one should be on every wife's bookshelf-no wait-she should have it out in the open and reread it every chance she gets. Merrilee is right on with this one. If you want someone else to change, start with yourself. Her ideas are practical and make so much sense. Thanks for a great resource. I just finished reading this book and feel blessed to aquire this knowldege so young. I can't wait to keep practising the insights and ideas in this book throughout the rest of my life. It can change anyone's marriage and life. Loved it!! 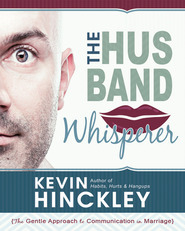 A Must for all married and engaged couples! I can honestly say that this book is the best book I have ever read. It helps with the most important relationship we will ever have. I absoultely love this book and will recommend it and have recommended it to everyone! I originally came across Sister Boyack's book, The Parenting Breakthrough. 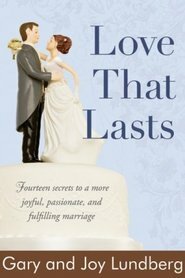 It is a FABULOUS book, and I have been dying to read her marriage book! I just got it and comsumed it from cover to cover. It is AMAZING as well! She has wonderful insight and presents it in such a way that it doesn't turn you away. I highly recommend both of her books to everyone! How Do I Change My Husband?